Happy Easter!! May your day be filled with love, joy, and peace. 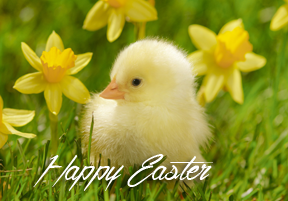 Enjoy time with your family, friends and loved ones on Easter Sunday. Bar None Country Store will be CLOSED for the holiday on Sunday, April 16. We’ll see you on Monday! This entry was posted on Thursday, March 2nd, 2017 at 9:18 pm	and is filed under Events, News & Updates. You can follow any responses to this entry through the RSS 2.0 feed. Both comments and pings are currently closed.